ASCII Converter is a handy tool for developers. Enter any character and it will display the corresponding ASCII Code. Or enter a a decimal ASCII code (33 – 255) to see the corresponding character. 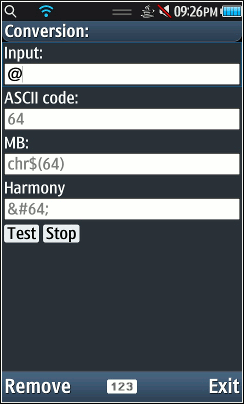 It also displays the characters Basic language chr$()code (labeled “MB” for unknown reasons) and it’s HTML entity (labeled “Harmony”). ASCII Converter was originally a Chinese language app that was translated to English by BoostApps reader Jayanta Roy. 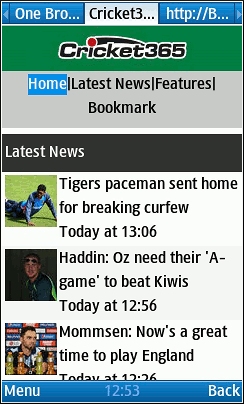 This is the latest version 1.9.92 of the Nimbuzz IM app was released in 2014. I don’t know what’s new in this release as Nimbuzz didn’t bother to issue release notes or do a blog post about it. It does look like Yahoo Messenger support has been dropped since version 1.98.1. Nimbuzz is a multi-platform IM and Chat app that lets you connect with your friends using Facebook Chat, Google Talk and Nimbuzz Chat which features chat rooms and group chat. ONE Browser, formerly called QQ browser, is a lightweight web browser from Chinese social networking giant Tencent. It’s a proxy browser like Opera Mini meaning that all web traffic goes through a cloud based proxy server that compress and optimizes web pages for faster loading and lower data usage. The proxy architecture allows ONE Browser to load large web pages on basic phones that wouldn’t be able to handle them otherwise. OneThe app “One Browser” (342 KB) is ready to download or send to your phone as filename:”onebrowser”. Pico Wireless has released a version 3.9 version of their PicoFinance app. PicoFinance lets you track your investment portfolio. 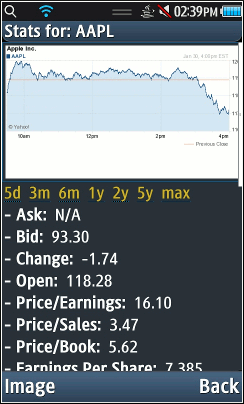 It supports most world exchanges and provides real time quotes, charts and news about your watched stocks. The app “PicoFinance” (40 KB) is ready to download or send to your phone as filename:”PicoFnce39″. PicoScoop has been updated to version 3.9. 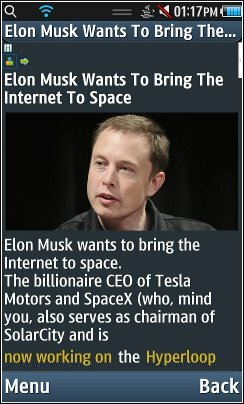 It’s is a free magazine style news reader that lets you view business, sports and technology stories from various news sites including news business, sports, technology and breaking news articles from many news sites including the BBC, CNN, Yahoo News, Washington Post, New York Times, Reddit, NPR, ESPN and the Huffington Post. You add to new sites by entering an RSS feed URL or using the app’s built in feed search. WeChat is a voice, video, photo and text chat app. It supports both one-on-one and group chats. WeChat officially supports the following Nokia S40 phones Asha: 207, 208, 300, 302, 303, 305, 306, 307, 308, 309, 310, 311 and 515; Nokia X3-02, C3-00, C3-01, X2-01, X2-00. It may work on other Nokia S40 phones and possible some non-Nokia phones. 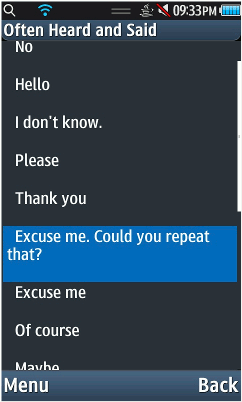 If you are trying it on a non-Nokia phone use this unsigned version: wechatU.jad. The downloads below are signed with a Nokia certificate and are extremely unlikely to work on non-Nokia devices. The app “WeChat” (1798 KB) is ready to download or send to your phone as filename:”wechat”. Submitted by a reader, Ruler is a ridiculously simple but actually useful app. 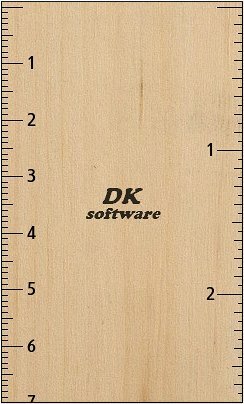 All it does is display a ruler with inch and centimeter markings on the screen so you can measure stuff with just your phone. Before you can use the app for the first time you have to calibrate it with a real ruler. To calibrate press the “Adjust” on-screen button, or the corresponding soft key, and use the on screen arrows, or the up and down keys on non-touchscreen phones, to adjust the on screen ruler’s size to math that of the real ruler. If the Adjust button isn’t visible, tap the screen or press the OK or Enter key to make it appear. When you are done with the calibration tap the screen or press OK or Enter to hide the on screen buttons or labels and make the ruler full screen. The app “Ruler” (48 KB) is ready to download or send to your phone as filename: “Ruler”. PicoWireless has released version 3.8 of its free personalized magazine PicoScoop, which lets you follow breaking news business, sports and technology stories from a variety of sources including the BBC, New York Times, Reddit, NPR, ESPN and the Huffington Post. Ability to turn images off to save both bandwidth charges and speed delivery of content. Ability to refresh the main page. 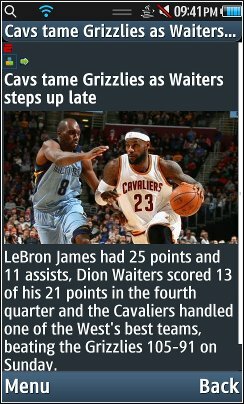 View snippets of articles before deciding to view the entire article. Graphical control area to move to the next article, vote articles up or down, view the entire document or return to the main page. The app “PicoScoop” (37 KB) is ready to download or send to your phone as filename:”PicoScoop28″. 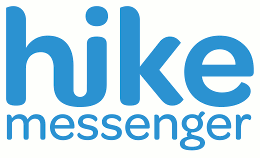 Hike is an instant messaging and social media app that launched in 2012 and claims to have over 35 million users. It lets you message your friends and share images, music, videos and graphical stickers. It also lets you send free SMS to friends who aren’t hike users. The free SMS function current only works for sending to phones in India, where hike is based. 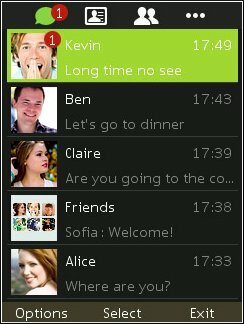 This version of hike officially supports the following Nokia S40 phones: Asha 201, Asha 205, Asha 206, Asha 210, Asha 300, Asha 301, Asha 302, Asha 303, C3-00, C3-01, X2-01 and X3-02. It may work on other Nokia S40 phones and some Sony Ericsson phones. It’s unlikely to work on other brands because it uses Nokia proprietary Java packages that aren’t available except on Nokia and Sony Ericsson phones. The jad link at the bottom of the page is a signed version that should work on all the supported phones. If you get a error on an unsupported phone try using this unsigned jad. You can also try downloading the app directly from hike. Go to Menu > Apps > Apps and games > select Hike with the arrow keys > press options > Application sett. > Applicat. access and set “Network access” to “Always allowed”, “Ask first time” or “Ask every time”. Repeat the process for Connectivity under Communication and “Read user data” and “Edit user data” under Data access. If you do manage to get hike working on an unsupported phone please leave a comment telling me which phone it works on and whether you used the signed or unsigned version so I can update the post. The app “hike” (1247 KB) is ready to download or send to your phone as filename:”hike”. Another reader submission. It’s a traveler’s phrasebook of common phrases useful to European travelers like, “Do you speak English” or “Can you call me a taxi. You can change the source and target languages to English, German, French, Italian, Spanish or Portuguese. The app “SurvivalDictionary” (102 KB) is ready to download or send to your phone as filename:”survival2.03″.